The Wheaton Rifle Club is primarily a competitive indoor target pistol and rifle shooting club. The facility also has an impressive long distance archery range, and hosts many of the long-distance outdoor archery events in the Chicagoland area. The Wheaton Rifle Club is located at: 27W070 North Ave., West Chicago, Illinois. It is on the north side of North Ave (Rt. 64), four buildings east of County Farm Road. It is much easier to get to when traveling west along North Ave (Rt 64), since that makes it a right turn into the driveway. 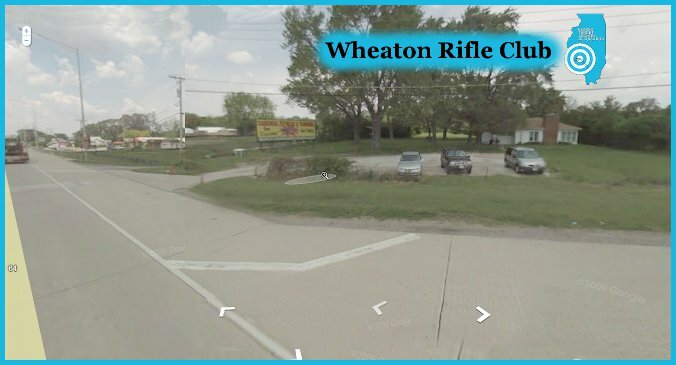 The Wheaton Rifle Club is a white, one-story building on the North side of the street (it looks like a house). It is the 6th building east of County Farm Road, two buildings west of Coachlight Motel, and across the street from the Premiere Lounge (which used to be Half-Time Lounge). Looking from North Ave. (Rt 64), this is what the club looks like. The archery range is behind the trees to the left of the clubhouse. Concessions of food and beverage are typically available at shoots here.